Portland has created more than 300 miles of bicycle facilities in the past 25 years. Among the most effective are “bicycle boulevards” or “neighborhood greenways.” A bicycle boulevard is a shared street with no specific bike lanes or paths. These streets have low motor vehicle volume and speed, and they possess enhanced landscaping (more street trees are planted, for example) and traffic-calming features. Stephen Rees also provides a comprehensive summary of Mai’s lecture in Vancouver here. The Value of Urban Design aims to establish whether there is a persuasive case for urban design – the design of the buildings, places, spaces, and networks (both public and private) that make up our towns and cities, and the ways in which people use them. Is there a value to be gained through good urban design? What kinds of value does it offer, and how can New Zealand’s towns and cities benefit? Simon Fraser University and Heritage Vancouver Society invite you to celebrate the restoration of this remarkable early twentieth century temple bank building, the former Merchants Bank Building (1915), sensitively restored to its former elegance under the direction of acclaimed architect Paul Merrick. Join SFU President Andrew Petter, Heritage Vancouver President Donald Luxton and University Architect Lee Gavel at 6:00 pm for the opening celebrations. You will have the opportunity to go behind the scenes with Paul Merrick & Mitch Sakumoto with Merrick Architecture, and Donald Luxton, Heritage Consultant with Donald Luxton & Associates, to discover the ideas that shaped this splendid restoration and how they met the challenges of such a complex restoration. This is a unique opportunity to meet representatives from SFU and the consultant team, enjoy the many outstanding features of the building and mingle at a private reception in a festive atmosphere. 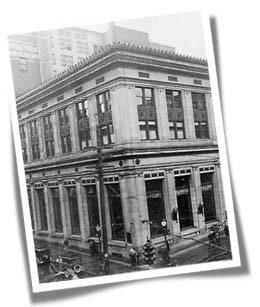 This landmark heritage project involved a complete exterior restoration and rehabilitation of one of Vancouver’s most significant buildings, designed by the architectural firm of Somervell & Putnam in 1915-16, and doubled in size in the 1920s while retaining its original design vocabulary. The bank sat vacant for years with its fate uncertain until Dr. Joseph Segal purchased and donated it to SFU with the long-term vision of preserving and transforming this building into one of the premier business schools in Western Canada. Some of the restored architectural features you will enjoy are the marble pilasters and sills, the highly-detailed coffered plaster ceiling, massive bank vault doors, decorative fire hose cabinet and directory, cast bronze stair newel posts, cast iron elevator frames, hot water radiators including cast bronze grilles and the original clock. You will discover why this outstanding restoration work has received a number of significant awards and has been designated as a heritage site by the City of Vancouver. This event is of particular interest to architects, developers, planners, decision makers and people who are passionate about the future of Vancouver’s built heritage. Purchase your tickets early as there are a limited number of spaces for this exclusive event and it will sell out. All proceeds support Heritage Vancouver’s initiatives to conserve Vancouver’s built heritage. On-line: via Paypal (account not required). Print your receipt and bring to the event. Cheque – made out to Heritage Vancouver Society and mailed to: Heritage Vancouver, PO Box 3336, Main Post Office, Vancouver, BC, V6B 3Y3. 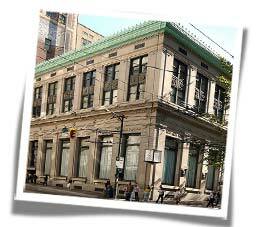 Please let us know if you’ve mailed a cheque, to hold your spot, at info@heritagevancouver.org . SFU Continuing Studies is hosting an Open House on Feb 5 at Harbour Centre (515 West Hastings). There are a wealth of activities and lectures to attend – and you can find out more here. Through careful urban planning, Vancouver is moving toward greater sustainability. Join City Program Director Gordon Price for a mind-opening tour of our evolving city. SFU Vancouver was many years in the making, from humble storefront beginnings to the revitalization of the 1927 Spencer building to the recent addition at the city’s beloved Woodward’s. Take a walk with City Program Director Gordon Price and hear the stories behind the heritage buildings that make up this vibrant downtown campus.